The brand was created by Paula Begoun who's a huge star in the US and is often featured as a skincare expert. She originally started out writing books on skincare before deciding to put all of her knowledge to work by creating her own products. 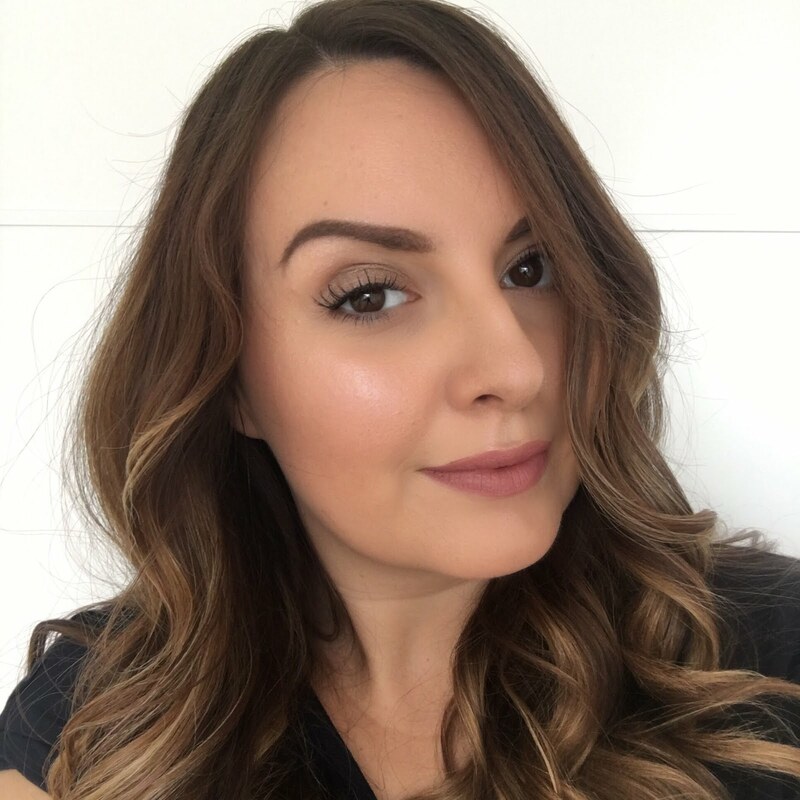 Paula's site Beautypedia is also a huge resource for real reviews and opinions on all sorts of makeup and skincare products across all brands - I've been looking up products I love to see what rating they have on there and it seem pretty accurate! I've been trying out two products which were suggested for me based on some of my own skin concerns - combination dry and oily patches and fine lines. I think toners really fell off the radar in recent years - I hadn’t picked one up since trying the Clinique three-step back in my early teens. But over the past year or so there’s been a real beauty buzz about them again – mainly I think thanks to the exfoliating toners that have become really popular. I’ve tried a couple of those, and I also ended up buying a toner for drying up oily patches during the day (Origins’ zero oil). I’d been meaning to try a hydrating one too. Originally I’d thought I needed a hydrating toner just for night-time, but my skin’s been a lot drier in places lately, so when I received the Paula’s choice hydrating toner I went ahead and introduced it to both my morning and evening skin care routines. This toner’s really easy to use, so although I hardly need yet another step in my already fairly complicated skincare routine, it’s no effort. After cleansing and before using any mosituriser or other products I wipe this over my whole face using a cotton pad. I must admit at first I avoided my oily t-zone for fear it would become oilier, but actually those areas seem to like this toner too, so I’m now going for the whole face. The toner takes the form of a clear water-like liquid and there’s no noticeable smell so it doesn’t irritate my skin or my eyes and it feels soothing as you apply it. The bottle is pretty large for a toner but the dispenser ensures the product drip-drops out, so there’s no wastage through pouring too much like some others I’ve tried. I’m certainly converted to toners now and plan to keep one in my beauty routine at all times. I really like this serum, mainly because it has a really thick gel consistency. You only need to squeeze out a small amount and you can apply it with precision exactly where you need it and it’s not going to slip and slide and run around your face. Because it’s quite thick it’s also really easy to see where you’ve put it, and it doesn’t move about when I apply other products on top. 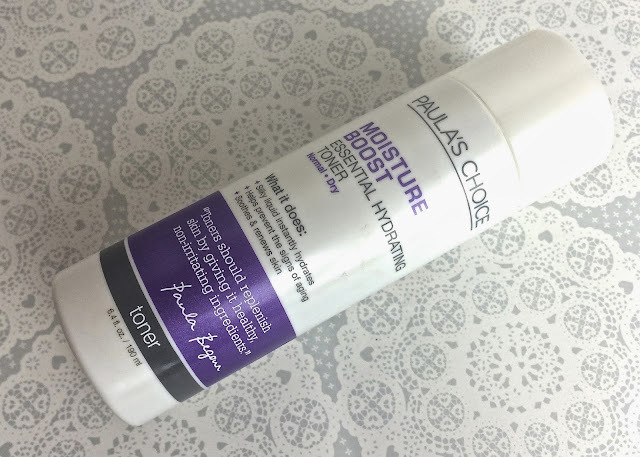 A bit like the toner, I was only going to use this at night originally - in case it caused a problem for my foundation to apply smoothly on top - but after giving it a go it’s absolutely fine and I’m using this morning and night. 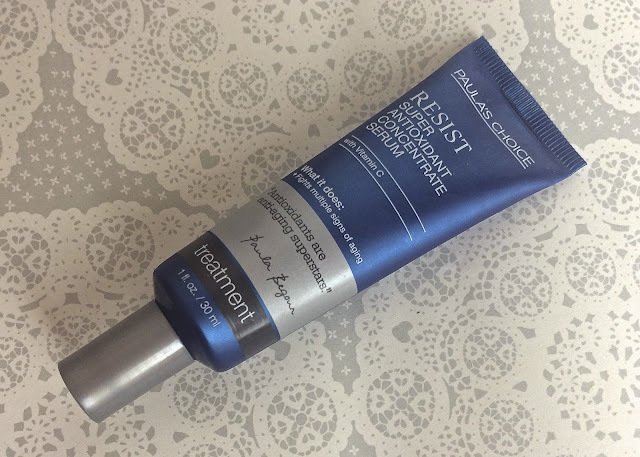 I always find it hard to rate anti-ageing products as the difference they make happens with pro-longed use and can be quite subtle, but what’s nice about this is that the serum has an immediate plumping effect - especially on the lines on my forehead – just an illusion but it makes me feel a bit happier! I’m certainly going to continue with this serum and see what results I get over time – I think it’ll last me ages as I’m only using a small amount in targeted areas. 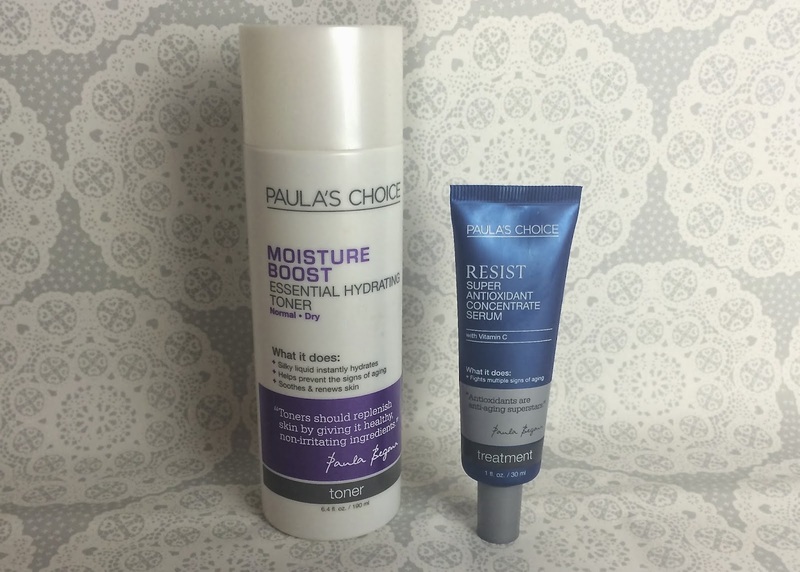 Have you tried Paula’s Choice?